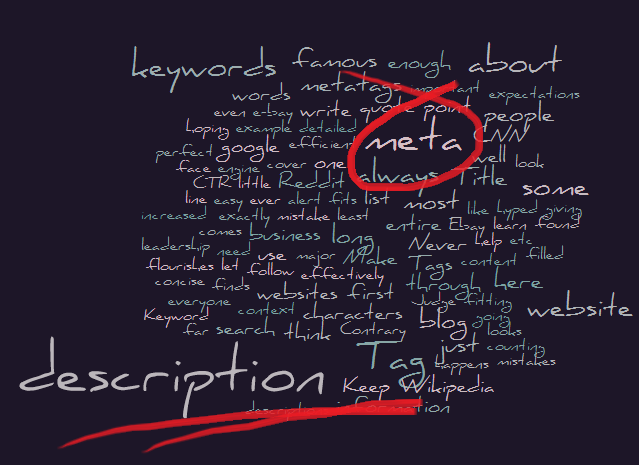 Meta-tags have always been the ones most hyped about in any SEO practice. And why shouldn't it be, meta tags are the things that a search engine (or a visitor) first looks at before going through the website. 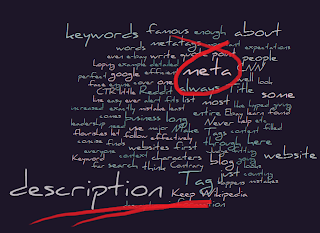 Find out the most effective Meta Description for your website. Find what are the requirements for writing the most effective description to pull maximum visitors. 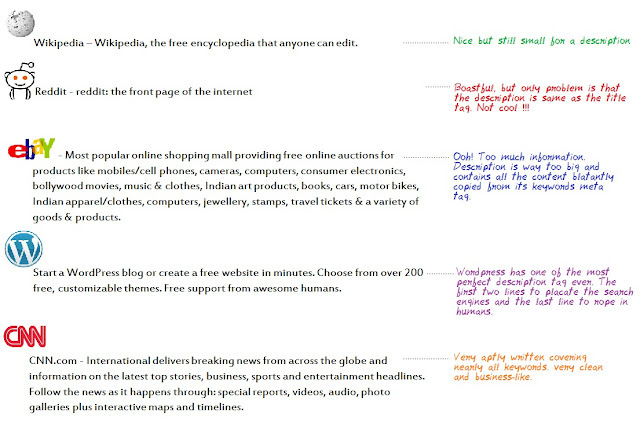 Also have a look at some of the top websites and their meta descriptions. A very relevant quote comes into context here, “Don’t Judge a book by its cover”. Contrary to your expectations, the quote is exactly the opposite of what happens in the ‘meta’ business. 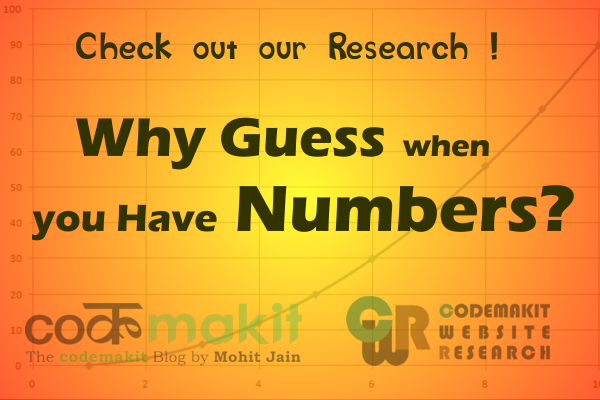 There have been articles who claim that the CTR for a blog can effectively be increased by proper use of meta-tags. Title Tag has always been easy to think of, you just need to think of 70 fitting characters that fits your website. Keywords Tags can very well be understood through Google keywords tool and a detailed video can be found out in no time. But what about description? 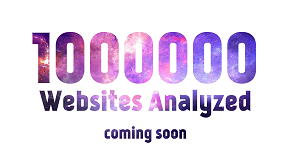 How can you write the most efficient description tag for your website, so that everyone finds you out and your business flourishes? So here are some tips to help you write the perfect meta description for your beloved page. Also learn from the mistakes of some famous websites like Wikipedia, Reddit, e-bay, CNN etc. Here are the requirements for a superior website description. Catchy text or something trust worthy or else you'll loose visitors. Never blurt out entire story. For bloggers this tip is important, people make mistake of giving out the entire blog post in a single line without even saying spoiler alert. At least tell what is it about, never be clandestine about the content shown hoping people will visit and see what it’s all about. Believe me, people don’t. To follow leadership by example, let us have a look at some famous meta descriptions by some very famous websites. First in the list, as always is Wikipedia with a short (to the point) and sweet little description. Just enough to bring a smile on the face of the reader. Next is Reddit, boastful and description same as the title tag. Ebay tests the capacity of google bots to parse long information. If one could resort to counting, 48 words is a rope stretched far enough. Wordpress has one of the most well written meta description ever. Clear and concise, just the way search engines want it. CNN too has a long list of words. An ambitious 38 worder, the meta description is a bit long but filled with information and keywords, very business-like.